Each fall, aspen trees cast a golden glow on mountain slopes. But aspen are dying throughout the West, and bald patches are replacing once brilliant stands. We’re working to improve the health of aspen forests in Utah alongside the Forest Service and dozens of other partners. 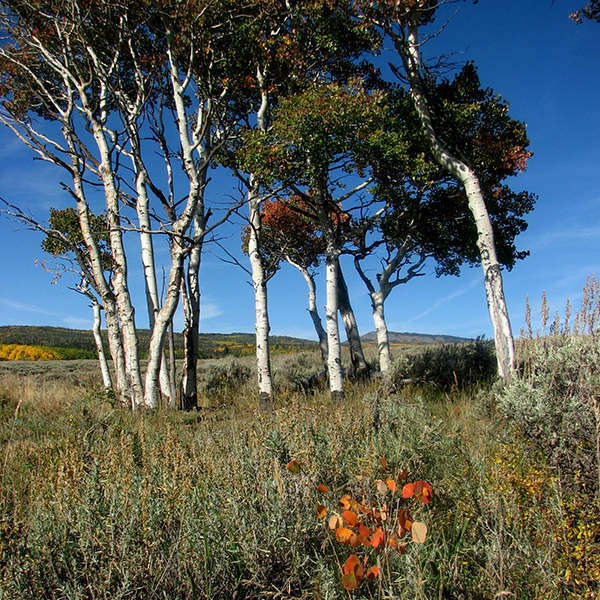 Aspen clones are made up of genetically identical trees that share a root system. Clones reproduce by sending up new shoots, but the green tops (called leaders) are a favorite food of deer, elk, and cattle. Continued feasting on new sprouts prevents them from growing into full-sized trees and results in the slow decline of clones. 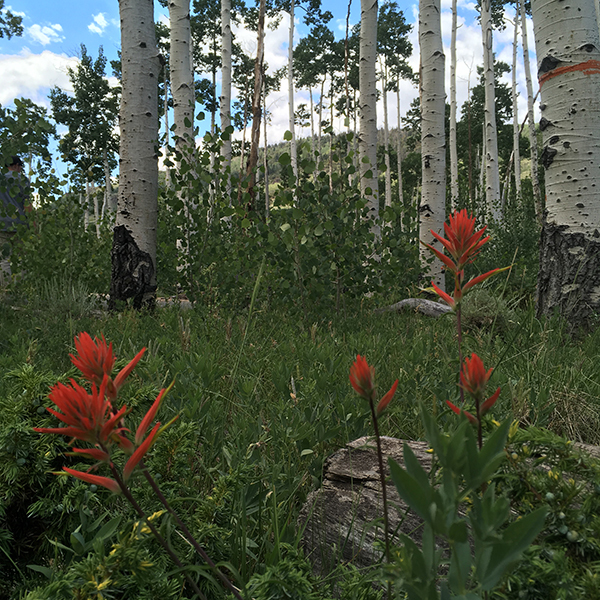 We advocate for less grazing in Utah’s national forests to give aspen the chance to thrive. Overgrazing is only part of the story. Decades of fire suppression have allowed conifers like pines, spruce, and fir, to shade out and outcompete sun-loving aspen. We’re working with partners and the Forest Service to study the results of various treatments, such as thinning of conifers, prescribed burns, and fencing out grazing animals. Invasive weeds, like non-native thistle and houndstongue, push out native plants and can form monocultures across our forest floors. We pull weeds in fenced reference areas year after year to shift the balance of understories toward native plants, which support an incredible diversity of native bees, birds, and other wildlife. The largest living organism known on Earth is struggling to stay alive. Why? The Pando Clone (meaning “I spread”) is the largest known organism in the world. It is made up of 40,000 stems, covers 106 acres in Fishlake National Forest, and weighs nearly 13 million pounds. But much of the clone is in serious decline. New shoots normally replace old, dying trees, but grazing animals' appetites are outpacing the rate of new growth. We work in plots within the clone where resident deer and cattle are fenced out, giving young aspen a chance to grow into mature trees. 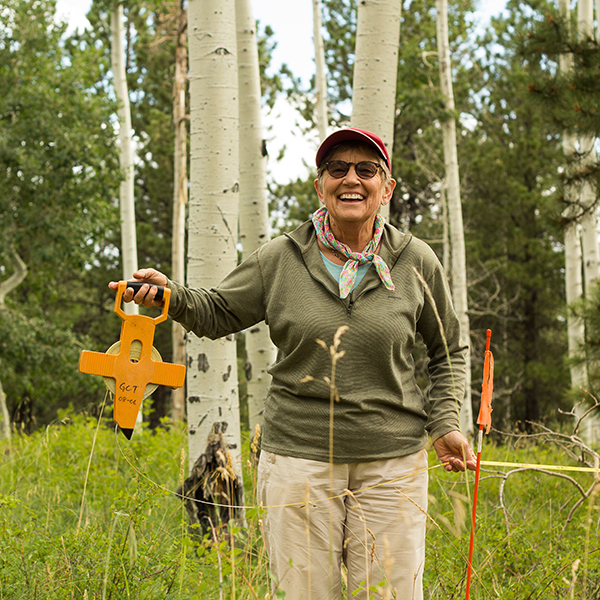 We return to these areas each year to pull invasive thistles and houndstongue and monitor the aspen’s new growth. 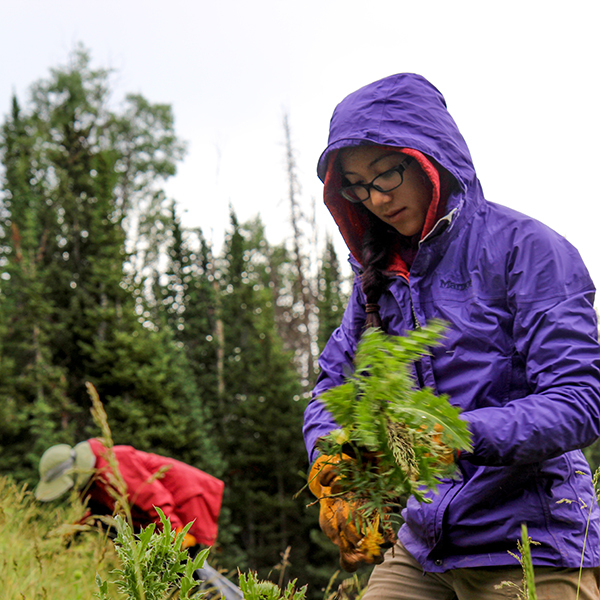 In 2018, we pulled 3,770 invasive houndstongue plants from the Pando Clone (down from 8,000 in 2017)! With each second-year houndstongue producing 300-675 seeds, digging up first-year plants and cutting seedheads from flowering second-year plants is essential to freeing up space for aspen sprouts and other native plants to grow. A team of landowners, sheep and cattle permittees, hunters, researchers, landowners, and the Trust is working to bring back aspen on Monroe Mountain.